New Year’s Eve seems to sneak up on me every year. It’s feels like there is this big build up to Christmas and then suddenly it’s New Year’s Eve. Plus, December 31st is my son’s birthday. So, for my family, New Year’s Eve is a very celebratory day! One of the ways we like to celebrate New Year’s together is to make a New Year’s Eve craft and use it while watching the ball drop in New York City on television. 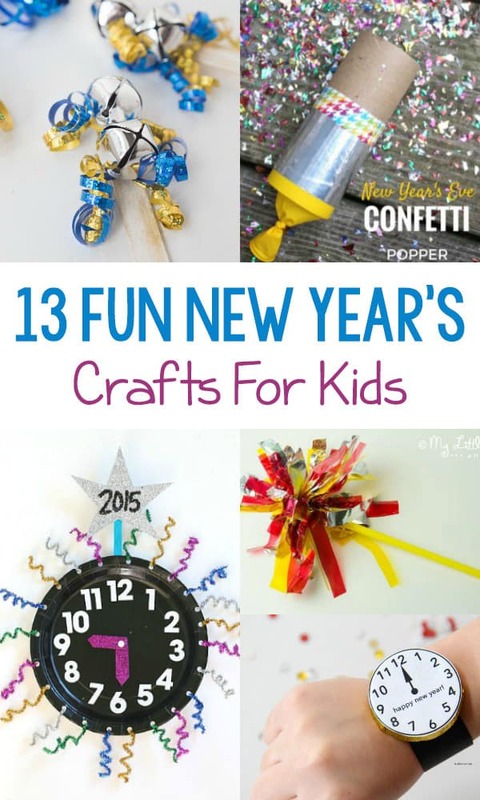 Therefore, to help your family ring in the New Year, here is a list of 13 Fun New Year’s Crafts For Kids! Listen to the kids make some noise after the ball drops with their own customized noisemakers. Have the kids make their own version of the New Year’s Eve ball. 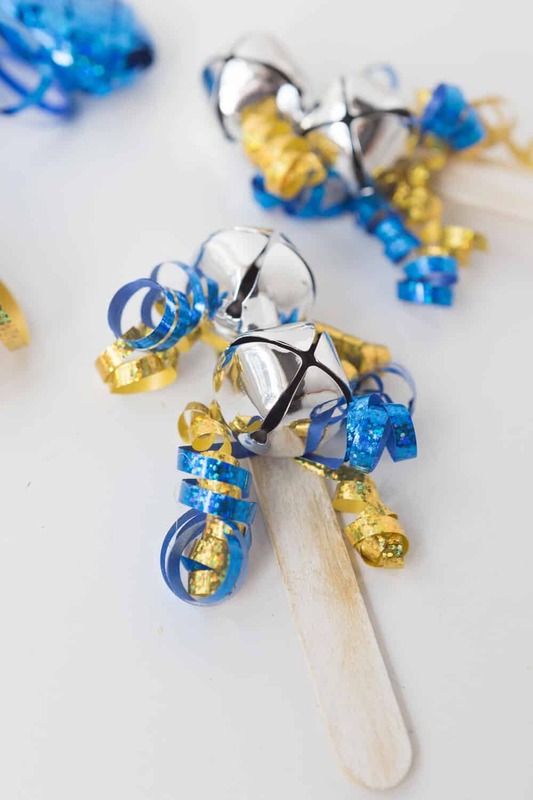 These simple party poppers will be fun to make and even more fun to watch explode at the end of the night. The kids will love making, wearing, and of course eating this craft at the end of the night! Make a wish this New Year’s Eve with these cute wishing wands. 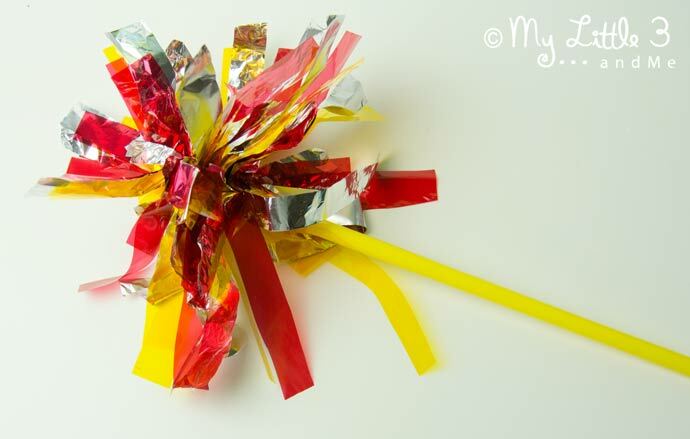 Yet another form of the confetti popper, but an easy and fun one to decorate. If you won’t be seeing any fireworks in celebration of the new year, construct your own with the kids. Perfect your child’s New Year’s Eve look with these fun party hats! They’ll love being able to customize them and wear them to celebrate. Your kids will love wearing these around all night just as much as they’ll enjoy decorating them. These DIY poppers are simple to make and your kids will love the outcome when the clock strikes midnight. Watch the kids ring in the New Year by shaking this customized paper plate around! Add colors, glitter, sequins, and don’t forget to put the new year on it. 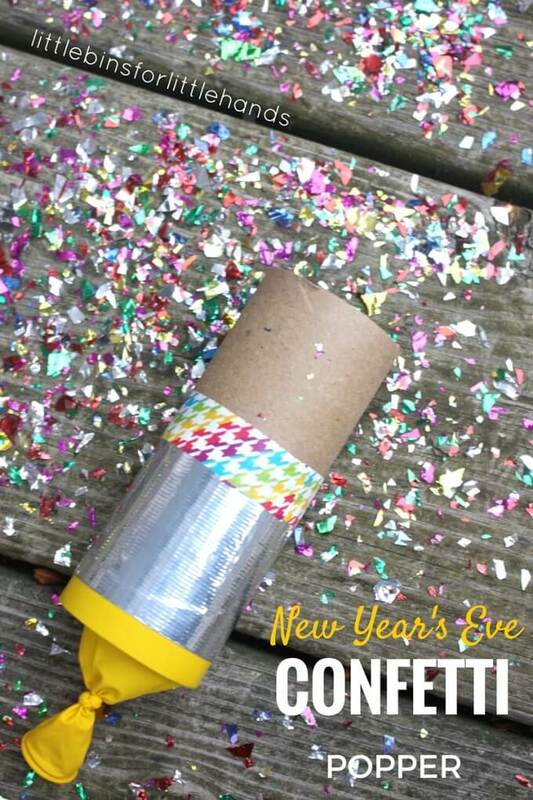 Have the kids help you put together this simple and fun contraption for the perfect New Year’s Eve celebration. It is a fun STEAM project too. 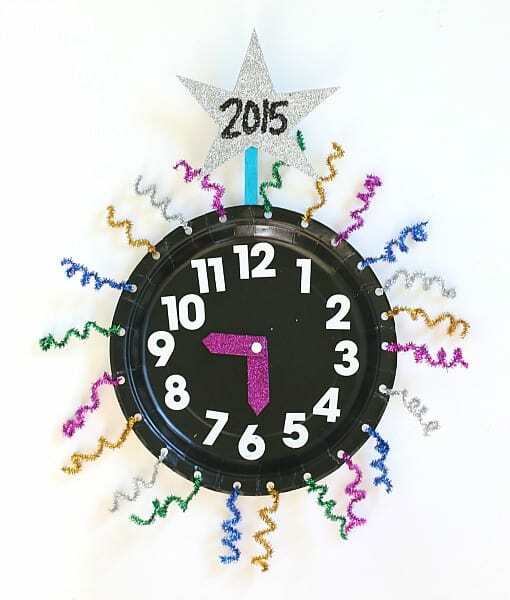 Have the kids decorate their own New Year’s Eve clock and keep track of the time all night along with them.